I heard a saying that the United States has 3 cities: New York, San Francisco, and New Orleans. The rest… is Cleveland. I surely haven’t been to all US major cities and there are some high on my bucket list, but so far, I must agree. There is something special about these cities. It might be the architecture, or the people, the international allure, the European-like vibes, but most likely a combination/ culmination of all of these. I heard so many great stories from friends about New Orleans that I had to experience it for myself. The opportunity came when work needed me to attend the annual cocktail conference Tales of the Cocktail. I added a few nights for some exploring time. The arrival at the old-fashioned airport did not provide much hope, the drive to the city through grey outskirts got me worried, and upon entering the city’s high-rise (yes, there is a skyline), it seemed like a quiet town with hardly any traffic or people on the street. But then, you start walking, through the French Quarter, to the Mississippi, through the garden district, and you keep on walking, for hours and hours. The relatively small city center has so much to offer and so many surprises, a new one every step you take. The US has a relatively young history, so the buildings aren’t hundreds old years old like you will find in Europe or Latin America. But the old-style buildings with their gas flamed outside lamps and plant-filled balconies are straight out of a movie set in the mid-19th century. When a touristy horse carriage passes you by, you will immediately launch back in time about 150 years when pirates ruled the city and fueled its expansion. I literally walked for hours in the French Quarter and the Garden District. On the streets, you will see quite some groups with a tour guide. Chances are, it’s some kind of tour taking you to haunted places around the French Quarter. Although touristic and probably mostly made up, it is a lot of fun. The stories you hear are so crazy, they can’t NOT be true. You can’t make some of that up. My theory is that New Orleans is such a wild city, that it attracts a lot of wild people. Put them together and there is crazy stuff bound to happen. A haunted tour is definitely a fun past time and a good way to learn about the history of the city. Nashville has country music, and New Orleans is all about that jazz. I must say, I am not the biggest fan of jazz, but the level of talent that is playing in the city is incredible. It seems like THE place to be when you want to make it big as a jazz musician. 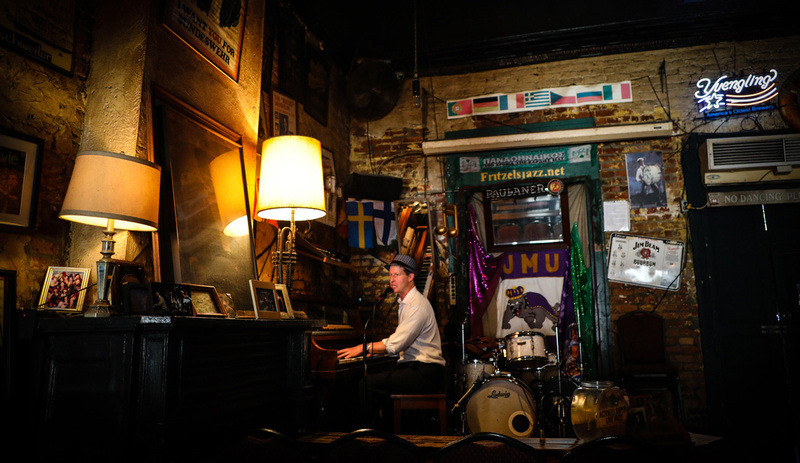 You don’t really have to look for jazz, as there are so many bars with live music. You just walk past them and judge by what you hear if you want to go in or not. I stumbled upon Fritz’s European Jazz Pub, which happened to be one of the best in town. A quick Google search led me to the highly recommended Spotted Cat Music Club, which did not disappoint. But one place is probably one of the most special and authentic live music venues you will ever go to. If you do one thing in New Orleans let it be this: Preservation Hall. They have 4 shows a night (check their schedule on their website) and the venue holds about 100 people. You can buy tickets for premium seats, but you can also stand in line. What you will witness are some of the best musicians you will ever see, playing their hearts out, without any amplification. It is so personal, so real, that it will bring tears to your eyes. That is, New Orleans claims to be the birthplace of the cocktail. Of course, with claims like these, there are many different opinions and stories. But what matters, is that in New Orleans, you can buy cocktails just about everywhere. And if you ask around, there are some top-notch cocktail bars where you will taste high-end, well-crafted cocktails. There are classic bars (tip: the Carousel Bar in Hotel Monteleone), Tiki bars (tip: Beachbum Berry’s Latitude 29), colonial bars (tip: Cane & Table) and the touristy bars (tip: you might want to order a beer there). Don’t be afraid to venture off Bourbon Street. 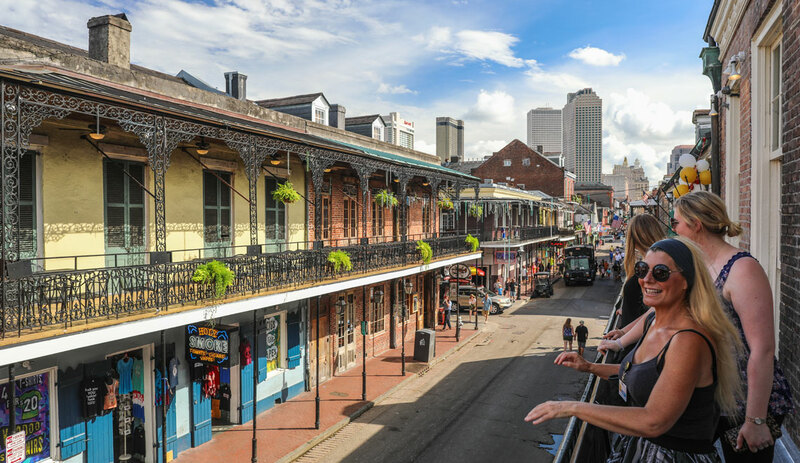 In New Orleans, the party is always on and the drinking rules are different than the rest of the US, so that means you will see a lot of people drinking. Especially in Bourbon Street. But if you venture off Bourbon Street, there is still drinking going on, but a lot quieter and it feels more local (tip: go to Frenchmen’s street). 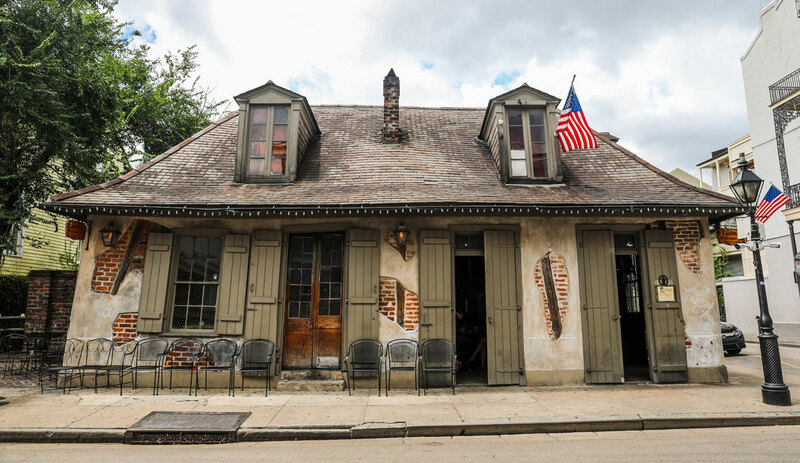 A beautiful bar (shown in the photo), though not necessarily a cocktail bar, is Lafitte’s Blacksmith Shop, the oldest running bar in the USA, dating back to the mid 18th century. Another big dream of mine: go to an actual swamp. 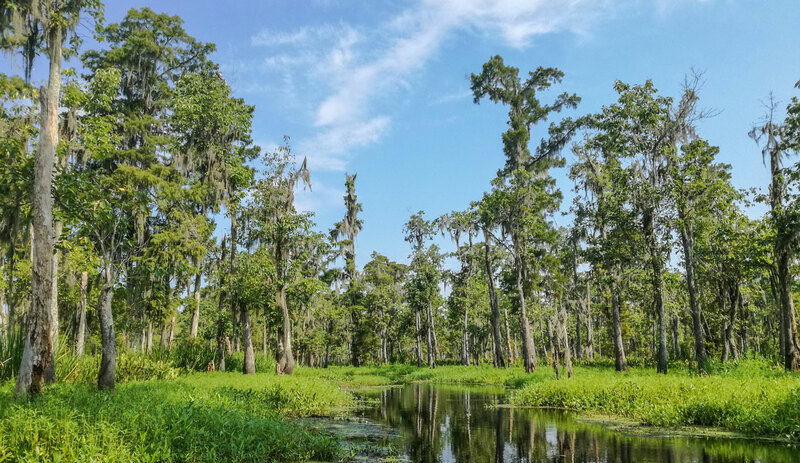 New Orleans is smack right in the middle of swampland. Instead of hiking in the heat, I decided to go on one the most highly recommended kayak tours I could find online. Within an hour drive, I was engulfed with nature. Alligators, turtles, bird life, incredible trees, fish in a surreal swamp setting, just like I imagined. Absolute beauty, absolute serenity. A lot of people rave about the creole food in New Orleans. On the menu, you will find Southern Cajun-style cooking with some of the weirdest swamp dishes. A lot of seafood like shellfish, catfish, and jambalaya. And by a lot, I mean a lot. Portions in the USA are just too much and the food is heavy. If you are a foody and want to find healthy, balanced masterpieces, expect less. And the prices are quite steep, especially around Bourbon Street. I often steer clear of the top touristic sites as they are super crowded. 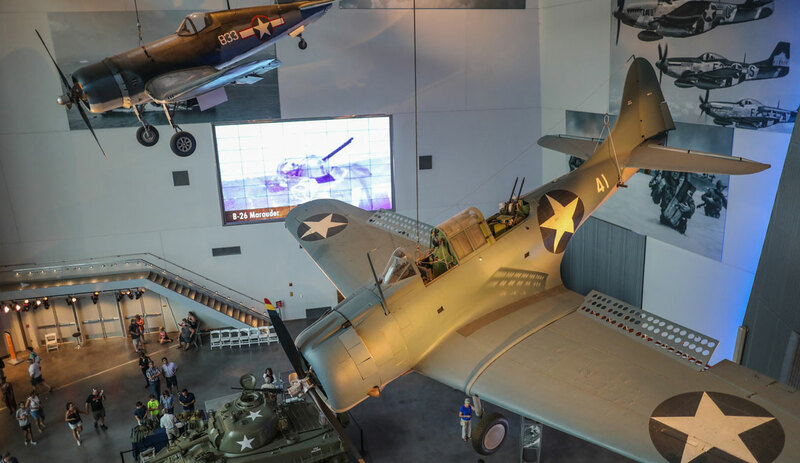 The World War 2 museum was about a 5-minute walk from my accommodation and combined with the raving reviews, I decided to check it out. This museum is all about storytelling and you will find so many different stories here. Each one worked out in detail with original artifacts, photos, and video. I spent more than 4 hours in this museum even though I walked past at least half of the stories. I grew up in Europe, and our schools mostly educate about the European part of the war. It was extremely interesting to learn about the conflicts in the Pacific and the African desert. 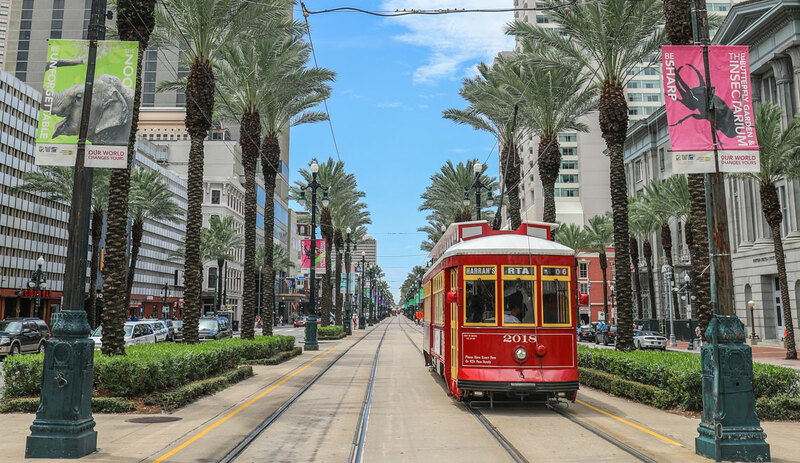 Having spent about 8 days in New Orleans for work, and pleasure, I recommend planning a 4-night visit to get a full NOLA experience. Make sure you have some days to recover afterward, as the walking, cocktails, heavy food and bustling nightlife will wear you down. 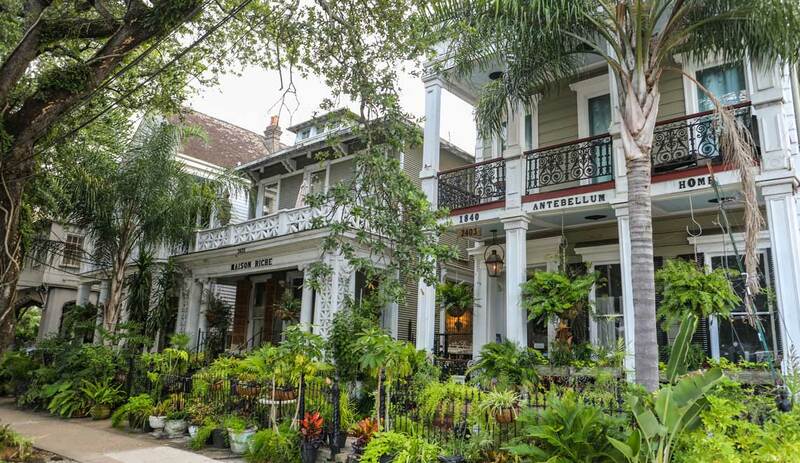 If you like peace and quiet during the night, find a nice boutique hotel in the Garden District. It’s still close to the city and it’s a beautiful area where you will feel right at home. Again, absolutely DO NOT miss Preservation Hall, an absolute highlight.